The Israeli occupation authority (IOA) opened on Tuesday a new tunnel in Wadi Hilwa neighborhood in Silwan south of the Aqsa Mosque in occupied Jerusalem. The inauguration of the tunnel took place at the same time when cracks emerged in the houses and streets of the neighborhood. Wadi Hilweh Information Center stated that Miri Regev, Israeli culture and sport minister, Nir Barkat, mayor of Jerusalem, David Be’eri, Ir David Foundation head, and a number of rabbis opened the new tunnel in Wadi Hilwa neighborhood where they staged a celebration and lit the Hanukkah menorah. 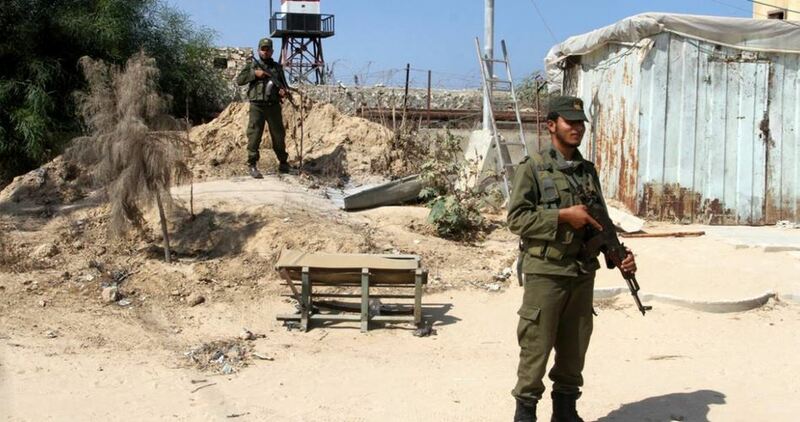 Israeli special forces were deployed in the neighborhood of Wadi Hilweh and blocked some intersections in conjunction with the opening of the tunnel, according to the center. 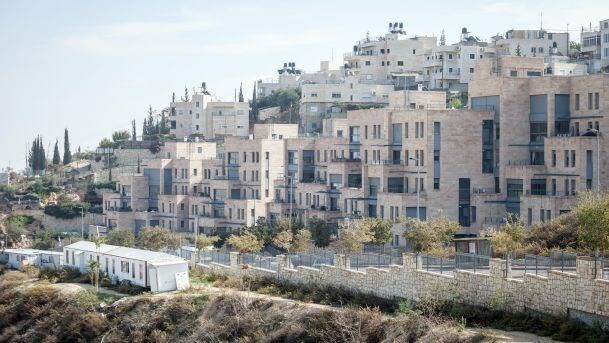 When the motorcade of the Israeli minister arrived, clashes erupted between the Israeli forces and inhabitants who disapproved of their presence in Wadi Hilweh soccer field. The Israeli antiquities authority and Ir David Foundation began digging the tunnel two years ago heading from Wadi Hilweh neighborhood towards the Maghareba area, the center pointed out. “This inauguration today is a message to the American president Barack Obama that Jerusalem, with its western and eastern suburbs, is united for the Jews,” the Israeli minister said in response to the US abstention regarding the UNSC resolution on Israeli settlements in the occupied Palestinian territories. The center pointed out that the opening of the tunnel in Wadi Hilweh neighborhood comes at a time when the safety of Palestinian inhabitants is neglected. Cracks in many houses and streets have been confirmed especially in the house of Attallah Seyam, which provides shelter for 22 individuals. New fissures appeared on Tuesday in almost all rooms of the house in addition to the widening of old cracks, the center revealed. The Wadi Hilweh center pointed out that new cracks and subsidence have been seen in new areas in the neighborhood. “Cracks only appeared in winter, but now it is appearing at all times which indicates the intensive digging the Israeli authorities are carrying out,” the center continued. The Israeli occupation authorities began digging tunnels underneath the neighborhood in 2007. The Palestinians then went to Israeli courts in order to stop the digging and they managed to obtain a ruling that stopped the digging for 14 months. However, the settlement organizations succeeded in winning a new ruling that allowed the diggings on condition that safety of the Palestinian residents was not endangered, a thing which was never respected. Jawad Seyam, Wadi Hilweh Information Center head, said, “Opening the tunnel after a few days of the UNSC resolution displays anew Israel’s disregard to international resolutions. The prime minister of Israel, Benjamin Netanyahu, has announced a series of upcoming events to celebrate the so-called "Golden jubilee of Jerusalem's re-unification", which marks the Israeli occupation of Jerusalem. 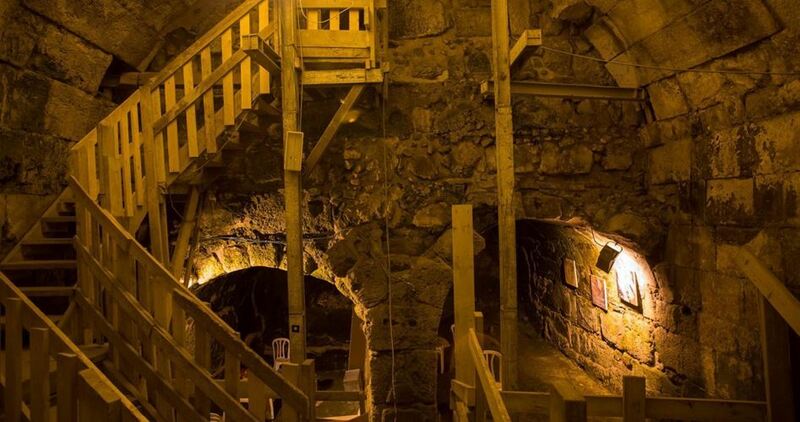 For her part, Israel's minister of culture, Miri Regev, revealed that "an old newly-discovered tunnel" stretching from the south of the Old City in Silwan to al-Aqsa Mosque will be opened in conjunction with the launch of the golden jubilee's events in the Hanukkah, or the Jewish Festival of Lights. Both Netanyahu and Regev attacked the UNESCO for its latest statement which confirms that there is no relation between Israel and Jerusalem and al-Aqsa Mosque. Netanyahu claimed, "The Jews have ties with the entire land of Palestine and not only Jerusalem." In the Israeli government's weakly statement, Netanyahu said, "Jerusalem is Israel's vibrant capital and it is being reconstructed." He also added, "The 50th anniversary of the re-unification of Jerusalem is a great event in the Jewish and Israeli history that will be properly celebrated." Regev said that the Ministry of Culture in cooperation with the Antiquities Authority will inaugurate during Hanukkah festival one of Jerusalem's old streets where the Maccabees used to walk two thousand years ago. She added that she considers the project of discovering the antiquities of the Old City and continuing the excavation works there as an important national project for Israel in general and the Ministry of Culture and Sports in particular. The right-wing extremist minister pointed out that the excavation works led to finding a coin belonging to the series of currencies that had been minted between 66 and 70 AD. She claimed that Hebrew letters were engraved on one side of the coin saying "Liberty of Zion ". Two resistance fighters were killed on Wednesday evening after a tunnel linking the besieged Gaza Strip to Egypt collapsed. 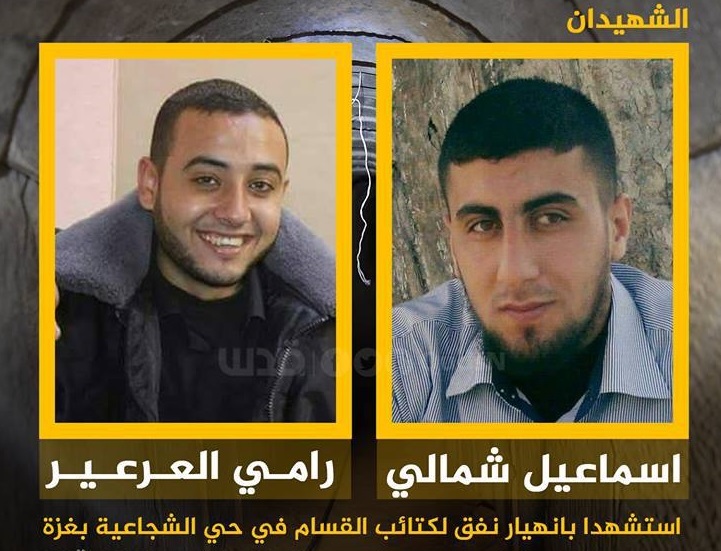 A statement by al-Qassam Brigades, the armed wing of Hamas Movement, identified the two men as Ismail Abdul Karim Shamali, 24, and Rami Mounir al-Are'er, 27. Another fighter sustained injuries in the tunnel collapse, which occurred in al-Shuja’iya neighborhood, in eastern Gaza City. Spokesperson for the Palestinian Health Ministry, Ashraf al-Qudra, confirmed the piece of news. Dozens of Palestinian resistance fighters and workers were killed in similar tunnel collapses due to flooding carried out by the Egyptian military. Egypt’s flooding of the border with seawater makes part of underway attempts to strengthen Israel's siege on Gaza by destroying the tunnels which have long been used to transport people and much-needed goods in and out of the enclave of two million inhabitants. An Israeli blockade severely restricts the movement of people and goods into and out of the territory, and Egypt's sole border with Gaza—Rafah crossing— has remained largely closed since the toppling of the democratically-elected President Mohamed Morsi in 2013. Hamas Movement called on the Egyptian authorities to open Rafah crossing permanently to end the suffering of Gaza inhabitants. In a statement after recovering the bodies of two Palestinians who died in a tunnel, which was flooded by the Egyptian army with wastewater, Hamas Movement consoled on Monday the families of the martyrs and said that the martyrs have sacrificed their lives trying to provide sustenance for their families. Hamas denounced the tragic incident, while stressing that there was no justification for using such methods in dealing with Gazans. Civil defense crews recovered on Sunday two bodies of four Palestinian workers who went missing in a tunnel near the Egyptian borders nine days ago. Abdulrahman Arafat, 24, from Abasan to the east of Khan Younes district, died of an electric shock in a tunnel south of the Gaza Strip on Sunday evening. 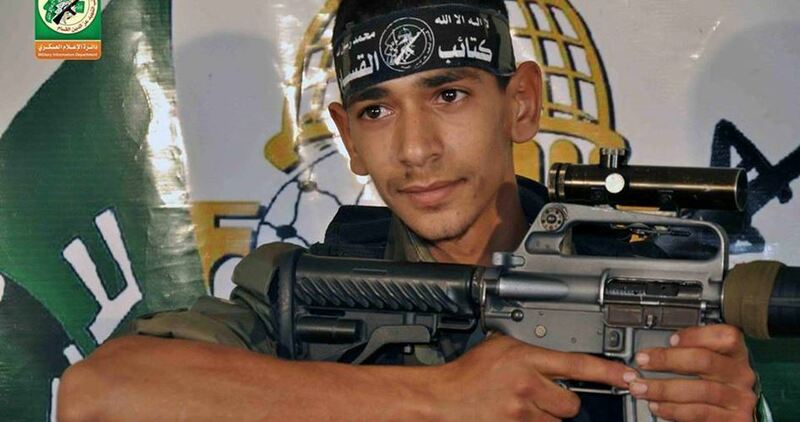 The Qassam Brigades, the armed wing of Hamas Movement, mourned Arafat saying that he was one of its fighters. The armed wing confirmed in a terse statement its commitment to continue training and preparing to confront any Israeli aggression. A number of resistance members were killed during training sessions or digging tunnels as part of efforts to enhance their potentials. The bodies of four Palestinian workers were removed Sunday from a border tunnel between Egypt and blockaded Gaza. Speaking on condition of anonymity, security sources said four Palestinian workers who had gone missing last week were found dead in an underground tunnel. Meanwhile, medics said four dead bodies were received at Abu Youssef al-Najar Hospital, in Rafah city, to the south of Gaza Strip. 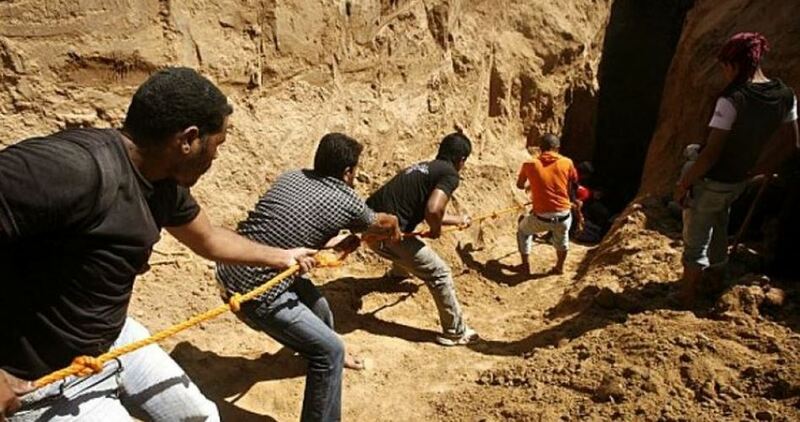 Over recent years, a number of Palestinian workers were killed in border tunnels after the Egyptian military flooded the border area between the Egyptian part of Rafah city and the besieged Gaza Strip with sea water, demolishing a number of tunnels. An Israeli blockade severely restricts the movement of people and goods into and out of the territory, and Egypt's sole border with Gaza—Rafah crossing—has also remained largely closed since the toppling of the democratically elected President Mohamed Morsi in 2013. In light of Egypt's systematic attempts to destroy the tunnels in Gaza and keep a tight rein on the border area, the tunnels have remained Gaza’s sole passageway and have long been used to enter much-needed goods and life-saving medicines to over two million inhabitants in the coastal enclave. However, at present smuggling across those tunnels had come to a halt due to the Egyptian vast destruction of the border area and flooding it with water. Palestinian Civil Defense crews found, early Sunday, the bodies of four Palestinian workers who had been missing for over a week, in a commercial tunnel on the Egyptian border with Rafah. The defense crews said, according to Al Ray, that three of the workers were identified as Sami Altaweel, 30, Ali Badawi, 45, Emad Badawi, 24, from Rafah, south of Gaza, while the fourth was identified as Muhammad Badawi, 22, from Nuseirat, central Gaza Strip. The defense crews said that the four workers had been missed after the Egyptian army flooded the tunnel they were working in.